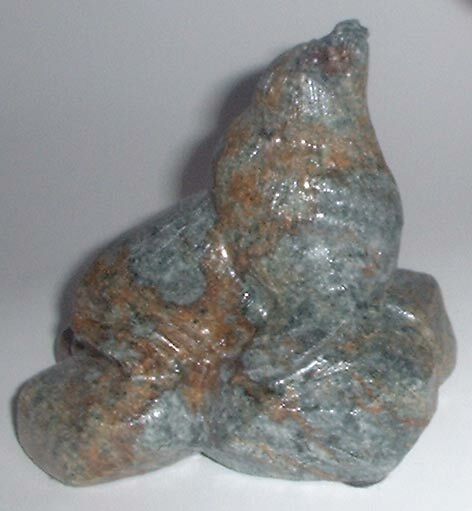 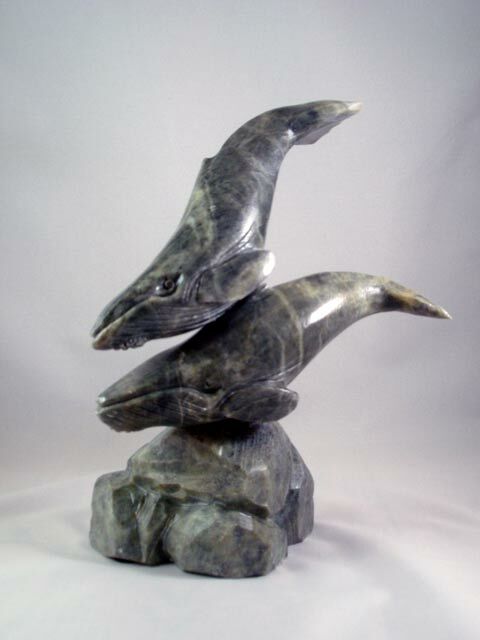 SOAPSTONE, although it occurs naturally in many American states, has almost become identified with Alaska and the Great Northwest. 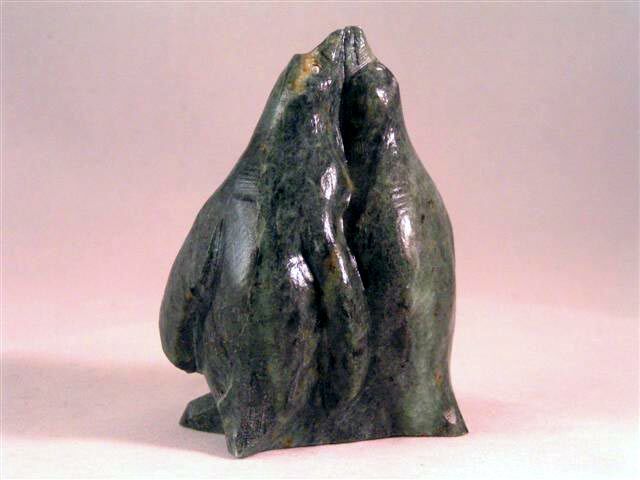 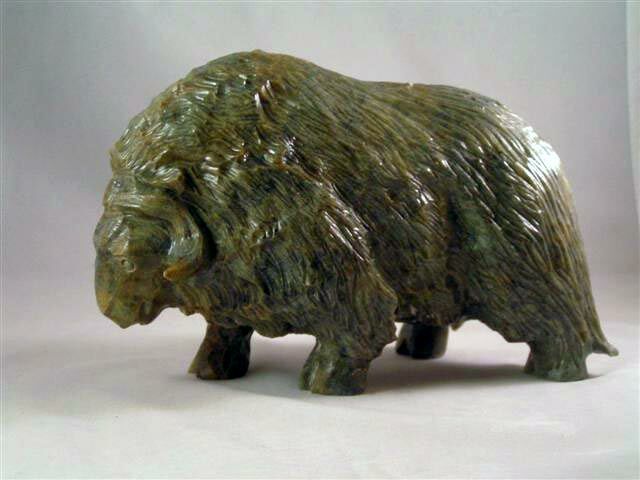 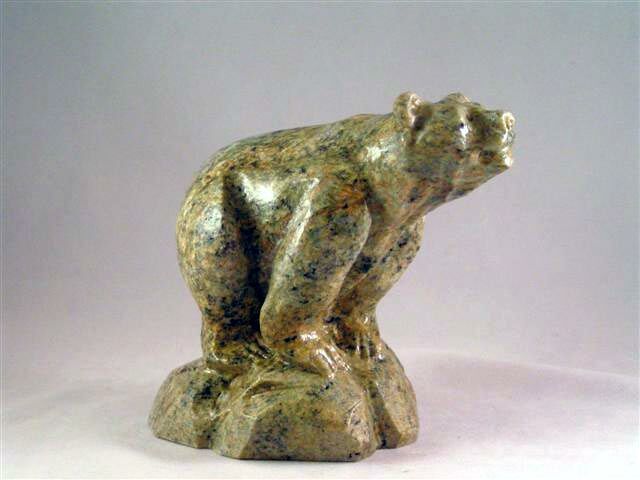 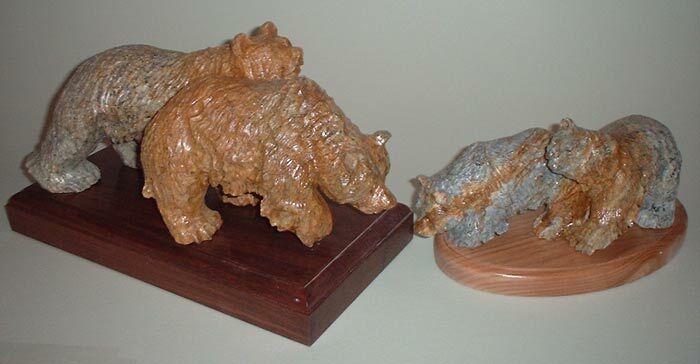 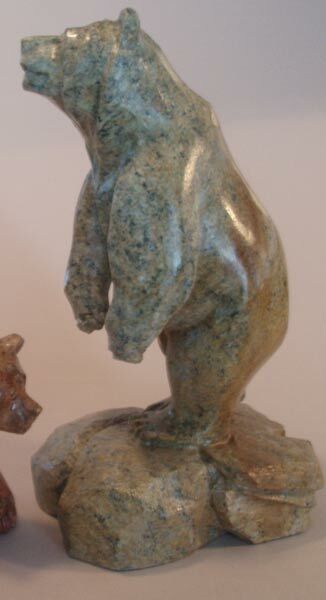 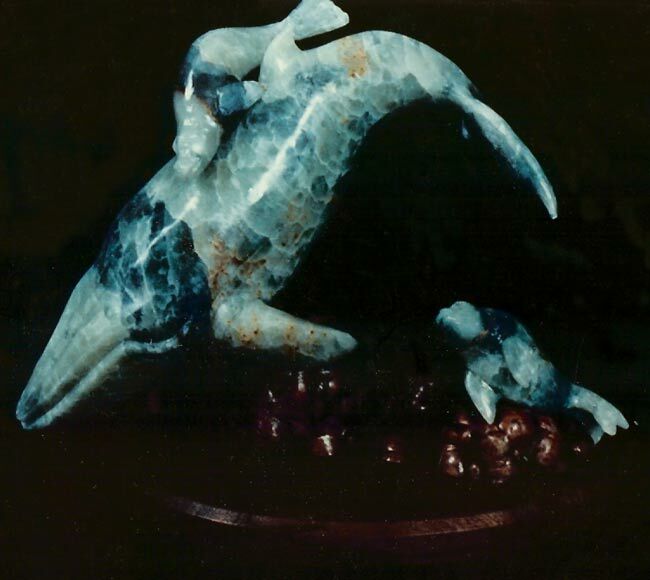 Many people are familiar with Inuit carvings and the dissimilar style of the non-native. 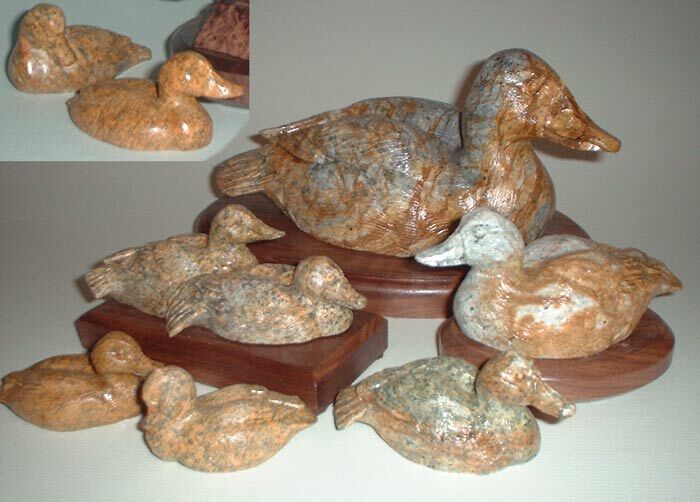 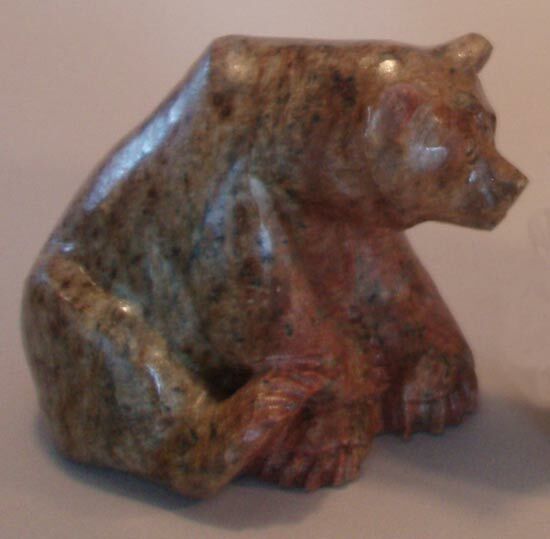 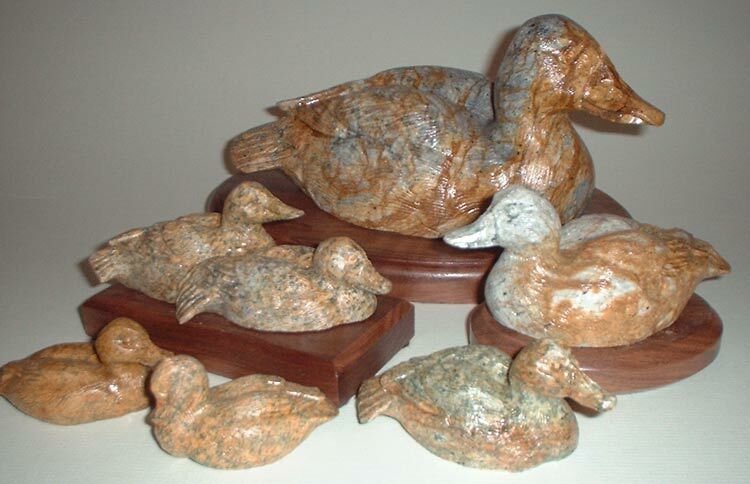 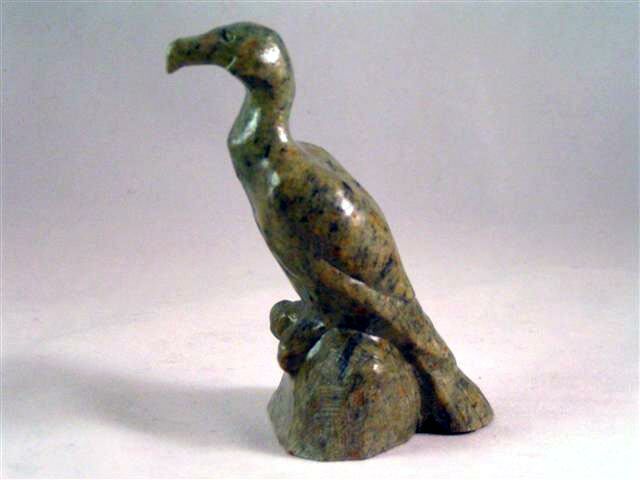 Soapstone carvings and sculpture have become so germane to this part of the world, that an upper end gift store or gallery would be remiss to not carry a good selection of it. 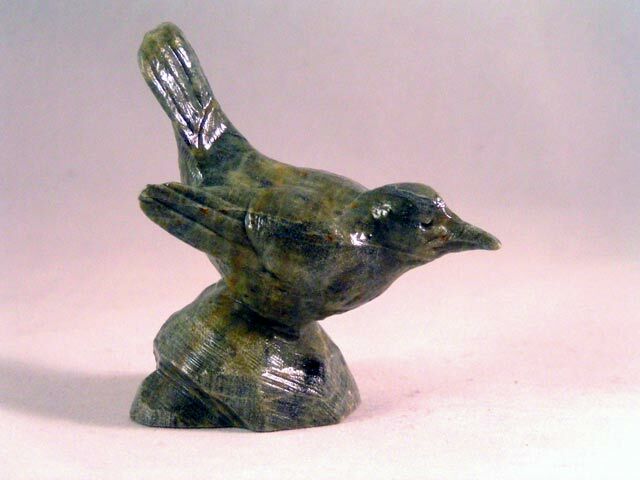 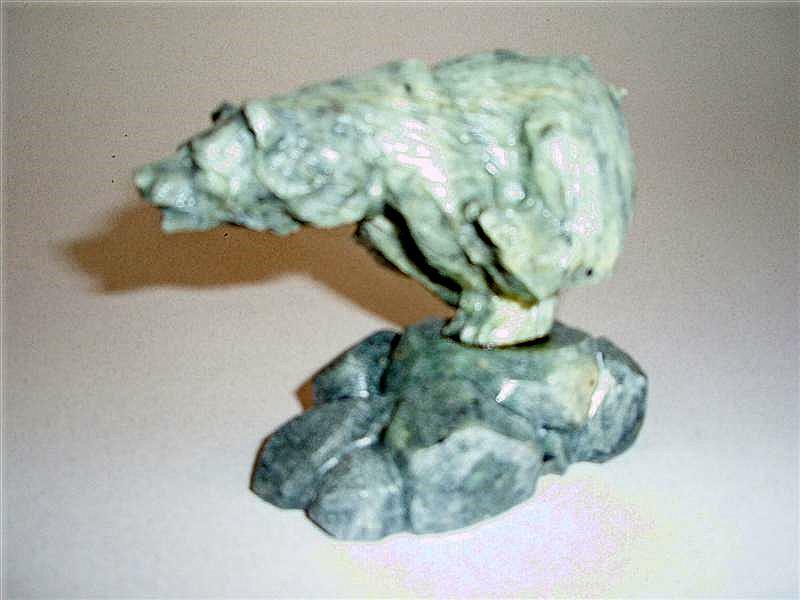 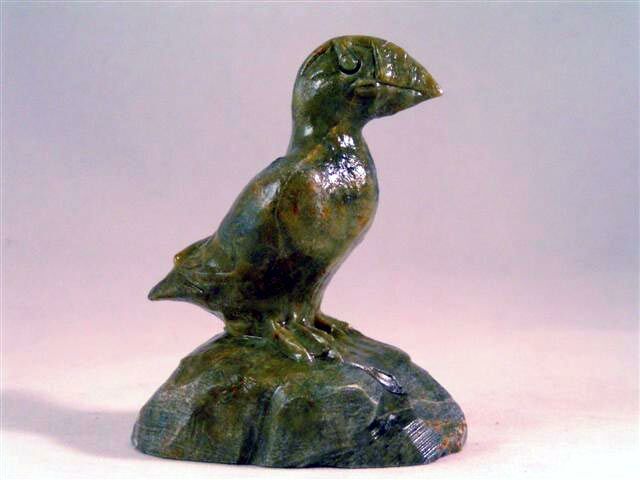 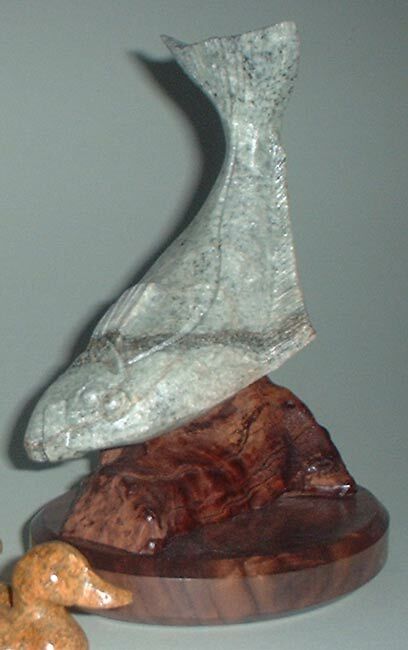 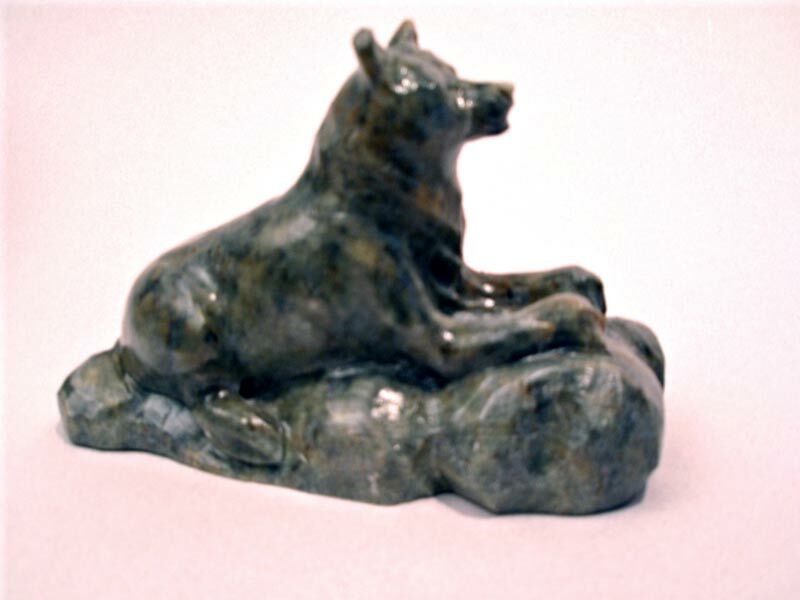 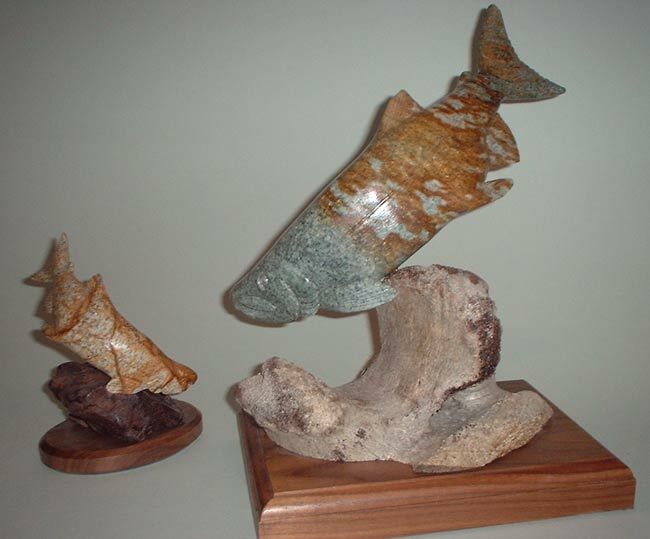 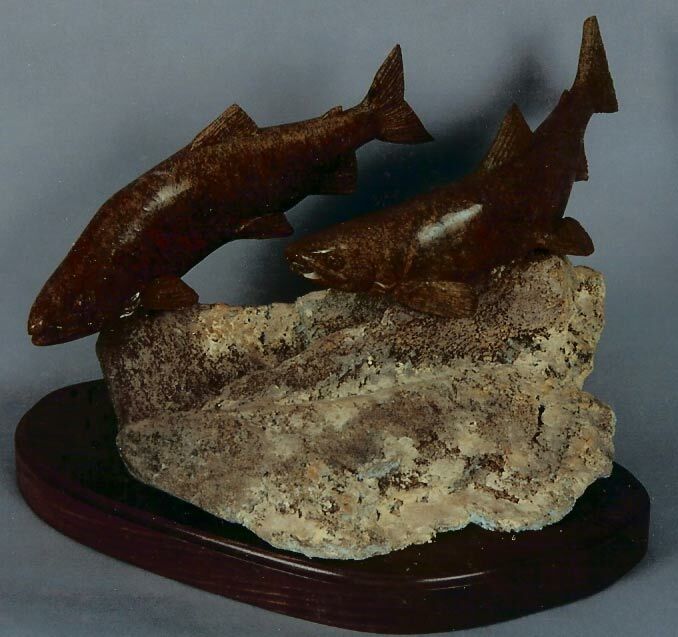 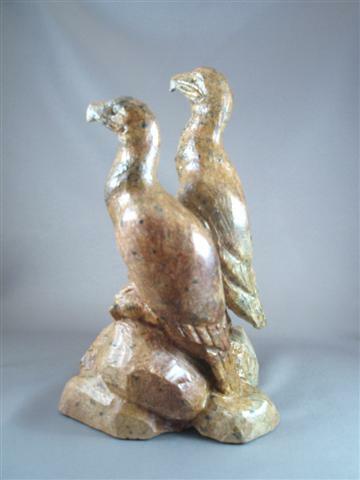 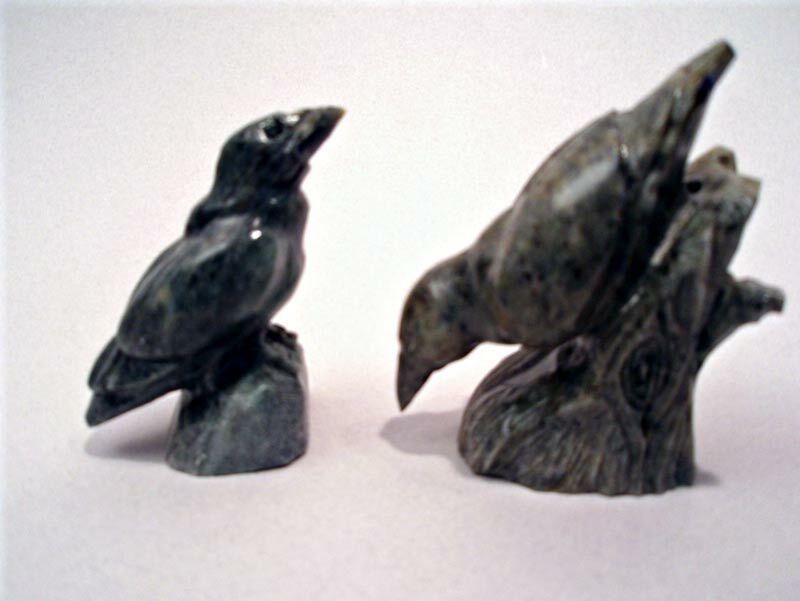 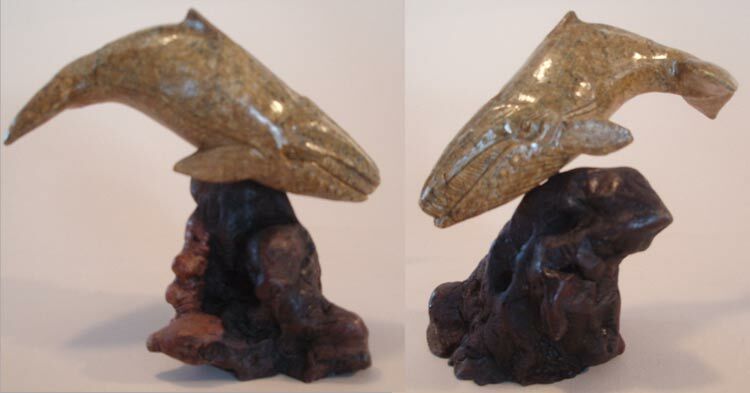 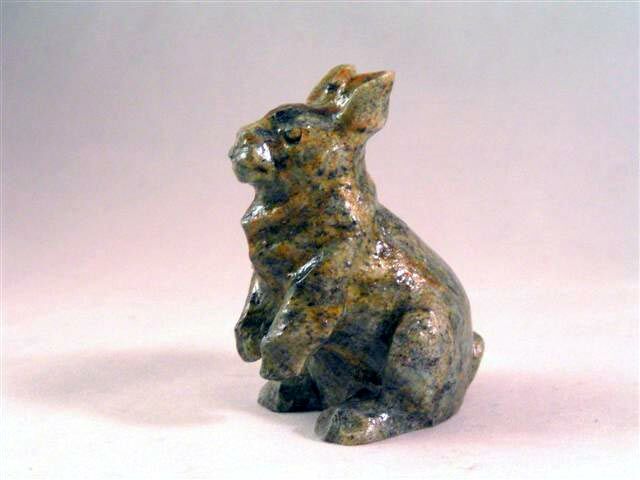 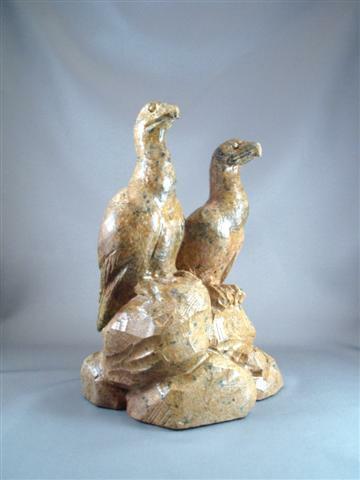 Soapstone has the intrinsic ability to carry detail in the finished carving and a discriminating buyer can secure fine workmanship and art in the media if he is aware of the capabilities of the media. 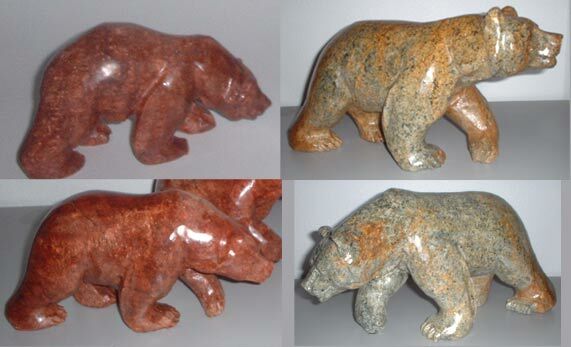 Often there is such beauty in the stone itself that it competes with the rendering of the sculpture and the artist must make a choice between smoothness or detail. 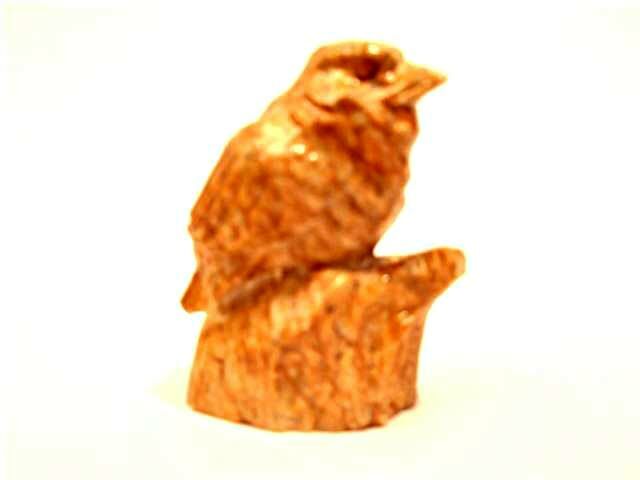 My own carving style emphasizes high detail. 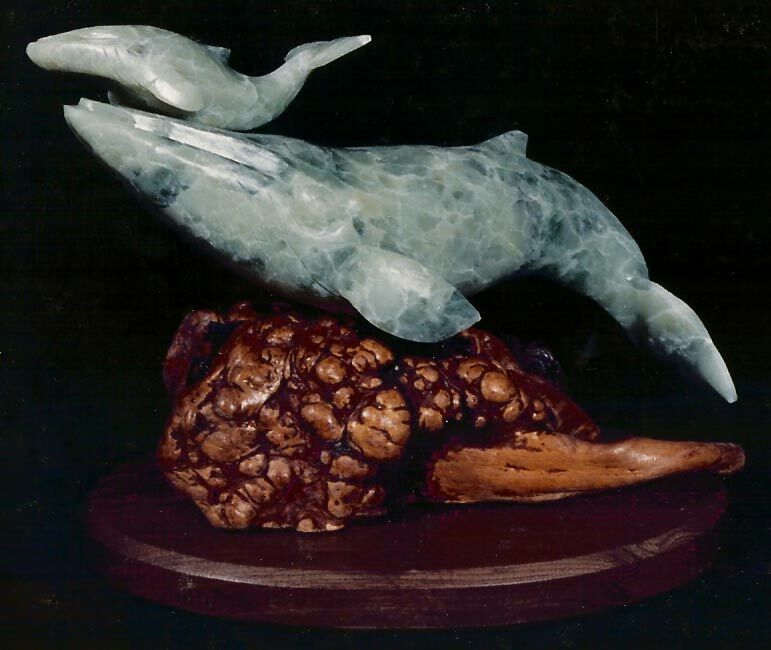 However, I have been completing many of my stone carvings of late with the smooth high polish and letting the stone partner with my work. 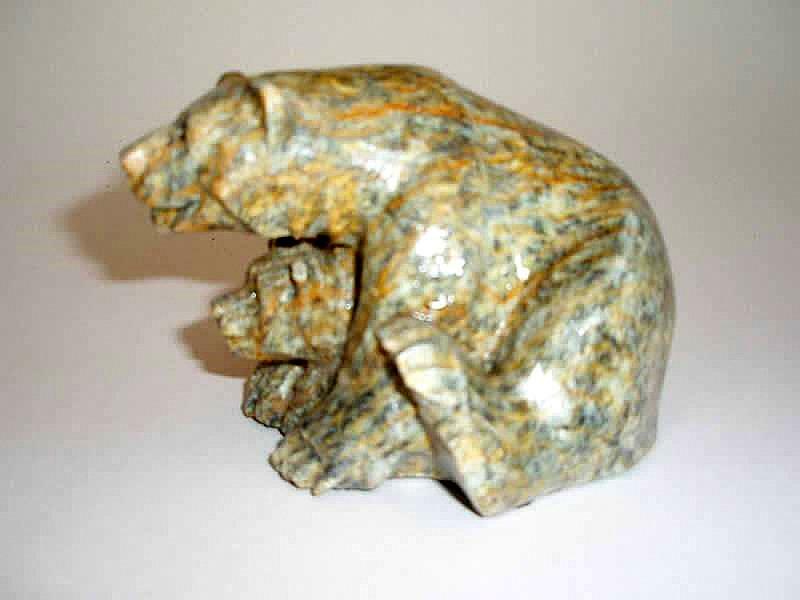 When I do the smooth finish I emphasize lines, shape, and grace and let the stone complete the piece with its color and cold tactile feel. 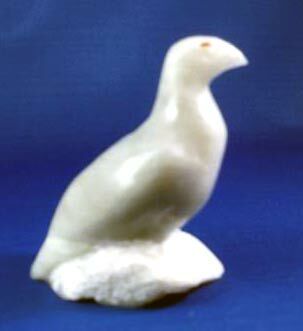 Click on an image to see a larger photo and then use your browser's Back button to return to this page.